Energy Label What Are They? 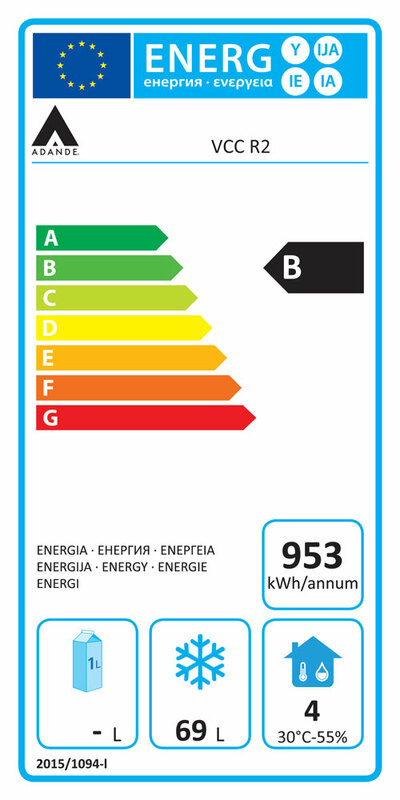 EU energy labels have become a common sight in home appliance showrooms – they’re found on a selection of white goods and other products and are designed to help customers see how energy efficient a model is before they buy. The coloured bars represent levels of efficiency with the green bars at the top showing the best efficiency (uses least energy) and the red bars at the bottom providing a warning that the appliance is not that efficient (uses allot of energy). There is a panel that shows how much energy in kWatt hours likely to be used over the year and other panels that depict certain ratings depending on the appliance type, fridge, cooker etc. Of course we recommend using a digital roll printer so that the label rolls line up easily and don’t snag or twist in the printer as with sheet labels. We supply the labels on rolls with the colours pre-printed and use one of our thermal transfer label overprinters with a black ribbon to add the black variable details. We have the BarTender software CLICK TO DOWNLOAD AND LOOK FOR ENERGY TEMPLATES that has a ready made template for Energy labelling that can be linked to a simple text file with all the product variables. When the user selects a product the correct details are merged to the label and printed. The problem with pre-printed labels is the cost of ordering all the label in one go and not knowing how many of each will sell and the wastage that can occur. We recommend the ultimate solution is to purchase our low cost blank labels and a colour printer for maximum flexibility. we supply low cost plain labels on rolls and a full colour roll label printer that prints the complete label see the video below. printing Energy Labels in full colour using the PRIMERA LX2000e……..